Spike TV will feature two of UFC 129's preliminary fights as Nate Diaz faces off against Rory MacDonald and Brian Foster meets Sean Pierson. Check out Fighting Insider's UFC 129 preliminary card preview below. On April 30, 55,000 Canadians will scream and worship their hometown hero, George St-Pierre as he faces Jake Shields at the Rogers Centre in Toronto for UFC 129. And though the GSP vs Shields bout is the main attraction, there will be other opportunities for other bettors to make money. Let’s take a look at two UFC 129 preliminary bouts that will be featured on Spike TV. 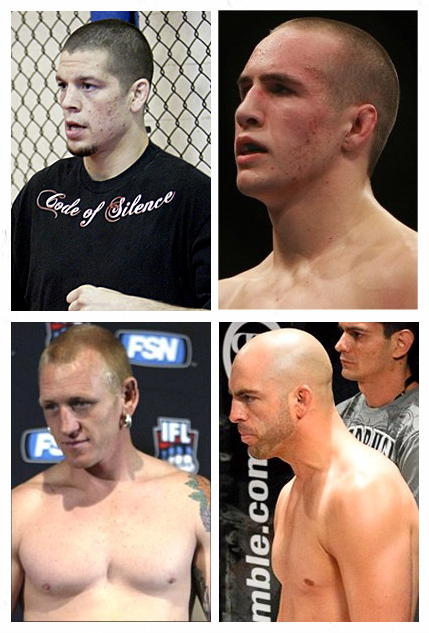 Nate Diaz and Rory MacDonald are both lightweight fighters turned welterweight. While the former is older and more experienced, the latter has raw fighting talent. Nate Diaz can certainly compete with the best in the world, but his four losses during his last seven fights might make fans thinking. Rory MacDonald, on the other hand, never had a fight that gone to the judges’ scorecards. Will UFC 129 change his fate? Brian Foster usually takes the night off whenever he fights. Meanwhile, Sean Pierson will try to notch his seventh straight victory at the upcoming UFC 129. Both fighters’ roots are firmly planted in wrestling, but with hands packed with plenty of punch. This match-up can get the crowd off their feet, though there is a high chance that Brian Foster will take home the price. How about you? What are picks and predictions for this card? Share your insights by leaving a comment.